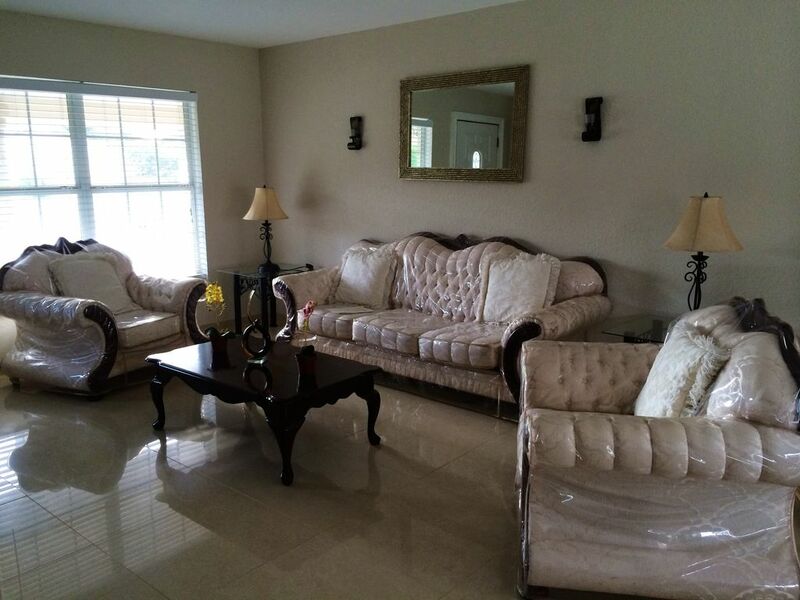 Our privately owned home, has three bedrooms, two full baths with almost 1,200 sq. ft. of living space. Families, friends or business travelers will have plenty of room. Nice home with all the amenities it states. It is close by a gas station, restaurants and a Publix. However, there were no smoke detectors in the home. Also, some of the windows' locks were broken so not the most secure home. It was only 30 minutes from Universal studios. It is very welcoming and comfortable stay. I'm very happy with my stay. This was the first time I've try this, and can honestly say I'll do it again. Next time for more days, thank you for allowing us to stay at your place, we all enjoyed it. Quiet neighborhood, close to the theme parks and restaurants. Too far from disneys parks. House is ok but bathrooms are really old and nasty, If you are goint to cook, bring your own pans they are really old. Disney parks are almost 50 mins from the house. Too far to drive back with tired kids. Thanks but i will come back to stay in a closer house. We were happy that it was only 30 minutes from Disney World. Great location with shopping centers! We were pleased with the house. Lots of room and comfy. Tile floors and just pretty! Cleaning Fee: $85.00 Until confirmed, rates are subject to change without notice.